I had an interesting conversation last week with a professional buyer who joined a sales team selling into the transportation sector just before the markets went pop. Inevitably our conversation turned to 2010 and his very interesting resolution. Q: How has your organisation coped with the last 12 months? A: “We are alive and kicking and most importantly we see opportunities emerging. Our team is making the transition back to solution sellers a place I am most comfortable operating in. You see when I started selling two years ago, we sold solutions, then we started to compete on price and now we are back selling solutions where we rightly belong. Q: Isn’t calling for a ‘Proven Payback’ is that not stating the obvious? A: ‘Well you might think so, but over the past 12-16 months, it’s been dog eat dog and as a result our industry and many others reverted to competing based on price. Q: How have you responded to the focus on slashing price? A: ‘‘In the past few months we did some sole searching and put ourselves back in the buyer’s shoes and have adopted a new mindset. We have proven our capability time and time again, we deliver and we manage risk, our clients know that too, so we have slowed down and started to question more carefully and input to our clients metrics. Q: What do you see as the major challenge for 2010? Q: Has access been a problem? A: ”As you know we are leaders in our field which helps in getting access to senior management in target customer accounts. However some of the bigger players like to keep us at arms length from the operational buyer. They want to sell the total solution which sometimes leaves us at a bit of a loose end in the buying cycle. Another challenge is that professional buyers want to limit access to executives in order to ensure the buying process is being adhered to. Q: So what can you do about this? 1. I have some great customers and am asking them to help me with referrals. 2. I am contacting my target customers and telling them how we are helping others manage risk and insure the highest level of utilisation. I am not pushing them to meet unless they see relevancy. 3. I am explaining to the bigger players (most of whom we have some partnership with) why involving me can help them. 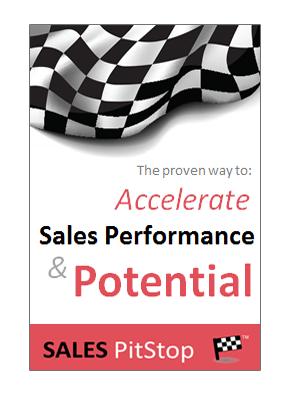 Most of theses partner’s sales team never occupied a role in a customer buying team, my insight into the buying process helps me help th e buyer and helps us sell together. 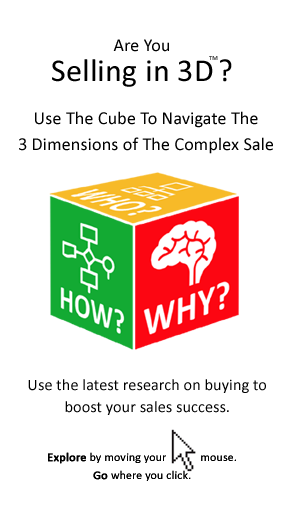 The fact is we all need to put ourselves in the buyers shoes and we all need to continuously consider the ever changing complexities of the buying decision. That is my new years resolution. Know what you don’t know and get others involved.